McALLEN, Texas – Mexican drug cartels are infiltrating federal law enforcement agencies along the Southwest border and those charged with weeding them out say they don’t have the money to catch all the corrupt agents, homeland security officials told a U.S. Senate panel Thursday. James Tomsheck, assistant commissioner with U.S. Customs and Border Protection’s Office of Internal Affairs, told a Senate homeland security subcommittee in Washington that only about one in 10 of the new hires for agency jobs are given polygraph tests, and of those, 60 percent are deemed unsuitable for employment. “That 60 percent number is alarming to me,” said U.S. Sen. Mark Pryor, D-Ark., who chaired the Homeland Security and Governmental Affairs’ Subcommittee on State, Local, and Private Sector Preparedness and Integration. “Transnational criminal organizations are doing all they can to infiltrate CBP through our hiring initiatives,” Tomsheck told the subcommittee. 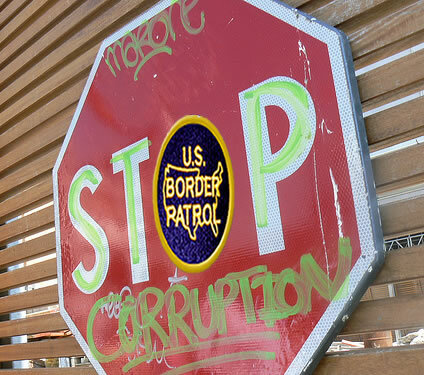 Since 2003, 129 customs officers and Border Patrol agents have been arrested on corruption charges, said Tom Frost, the Department of Homeland Security’s assistant inspector general for investigations. That figure included the northern border and other ports of entry. “We have found the tactics used by the drug trafficking organizations in their corruption activities are similar to the processes or tactics used by foreign intelligence services as they attempt to recruit or otherwise compromise our officers and agents,” Frost said. The corruption activities “encompass almost every layer of the DHS border security strategy,” including employees stationed away from the border, but with access to sensitive information. They have used that access to “to vet drug trafficking organization members, track investigative activity, and identify individuals cooperating with the government,” Frost said. Kevin Perkins, the FBI’s assistant director for its criminal investigative division, mentioned the case of former Customs officer Margarita Crispin who was arrested in El Paso in 2007 and sentenced to 20 years in prison after pleading guilty to a charge of conspiracy to import more than 1,000 kilograms of marijuana. In addition to the links and embedded article above, my YouTube Border Corruption playlist is available here.